You’ve read the intro. You’ve read about first basemen and second basemen. You know how to count. You know what time it is. 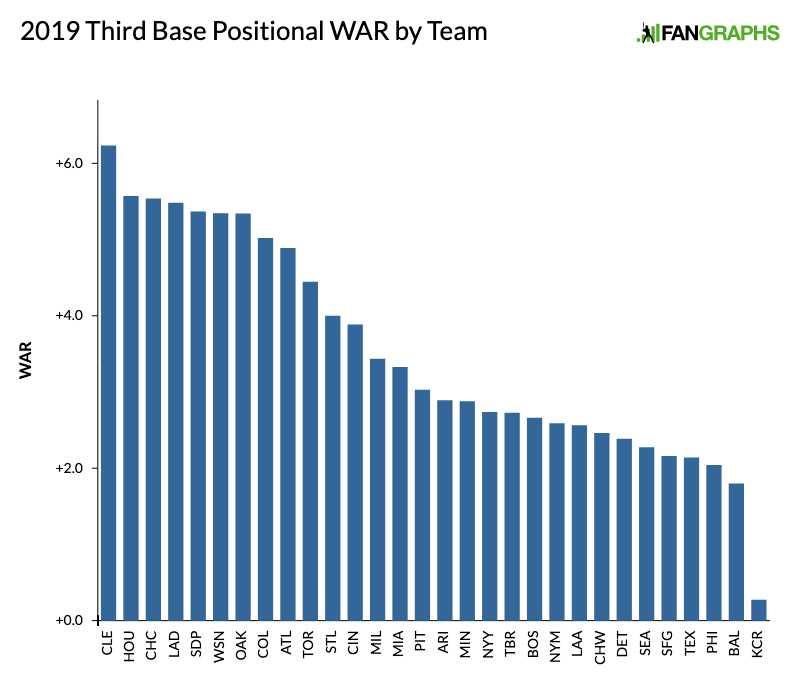 As our positional power rankings continue, let’s talk about third base. This, friends, is a very good time to like watching baseball men play a good third base. Fully half of the top 10 players by WAR last year were third basemen, and only three of those five men make the top five of our rankings. The 8th-ranked player on this list, Nolan Arenado, is projected for nearly five wins this year, and the 10th-ranked player is the consensus top prospect in the game. Your mileage may vary, but I see roughly four tiers here: An elite No. 1-8, any one of whom can at times threaten to be among the best players in the game; a very strong second tier No. 9-13, the top of which contains players who have been in the past or could be in the future very good; a perfectly solid and mostly indistinguishable third tier running from No. 14 to No. 29, containing every possible diversity of age, experience, upside, and talent; and then the Royals. Let’s dive in. This will be fun. We hoped you liked reading 2019 Positional Power Rankings: Third Base by Rian Watt! I really enjoyed reading this one! Great tone and writing. Thanks. I agree. Rian so far wins the cup for funniest PPR write-up. I cracked up pretty much every entry for the first ten or so. Let’s see if he can hang onto his trophy when it’s Dan’s turn. 80 grade Desperate Housewives reference! !